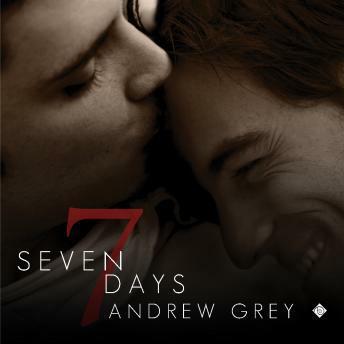 Listen to "Seven Days" on your iOS and Android device. This is the story of seven pivotal days in Evan Donaldson's life. Evan was a teenage street hustler when Father Valentin talked him into coming to Saint Bartholomew's Academy. In that one day, Evan's entire life changed. That's the day he met his roommate, Clay Mueller, and the day Evan began to live. But Evan's life would change again and again, from abuse to first love, to separation and heartbreak, and eventually to starting his own family. Through it all, whenever a door closed for Evan, a window opened, and the window was Clay. From the first day of finding faith and connecting with Clay through their relationship's twists and turns, this is a glimpse into seven decisive days and the critical, amazing way a single moment can change destiny.